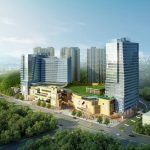 Grand Mercure, the incredibly popular upscale brand of AccorHotels globally, is proud to announce the opening its first international hotel in Jinshazhou Island. Located between Guangzhou and Foshan in Southern China’s Guangdong province, Grand Mercure Foshan Country Garden is situated at the heart of Jinshazhou. Jinshazhou is a flourishing island metropolis administered jointly by Guangzhou and Foshan, with one third of its rapidly developing western zone belonging to Guangzhou. Located within a shopping and entertainment complex, Grand Mercure Foshan Country Garden is 2 km to Guangzhou Metro Line 6 Xunfenggang Station and 35 km to Guangzhou Baiyun International Airport. The hotel’s interior design reflects the locale’s culture that was inspired by the historic thousand-year-old Shabei Village located at the foot of Xunfeng Mountain. Magnolia, the city’s official flower, is seen throughout the hotel’s guestrooms and public areas with various Lingnan cultural ceramic art-décor being displayed. The map of Jinshazhou shapes the architectural design of the hotel lobby which overlooks the mountainous view of Xunfeng, with a myriad of twinkling lights inviting guests to feel the city’s dynamism. The hotel boasts 219 spacious and comfortable guestrooms and suites with a comprehensive array of in-room facilities. Crucial to its business travelers, the hotel offers more than 700 square metres of event space including a lofty ballroom with floor to ceiling glass windows, five multifunctional rooms equipped with high speed Wi-Fi and state-of-the-art audio visual facilities, and a dedicated professional banquet team to ensure that every event is successful and memorable. The recreation area includes an outdoor swimming pool and fitness centre, while concierge and limousine services are at guests’ disposal. Jade, the only all day dining restaurant and bar within the district, has both indoor and al fresco table options with modern, sophisticated cuisine. Its private dining room offer would fit for those who look for Chinese setting. The lobby lounge features a selection of wines, light snacks and exotic home-made cocktails. 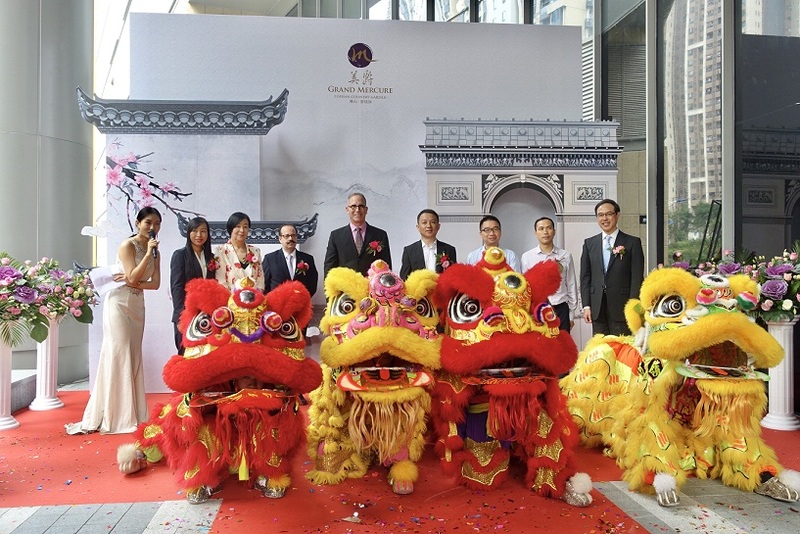 With its debut in Asia Pacific nearly 20 years ago, the Grand Mercure network consists of more than 45 hotels that embrace cultural tradition, locally influenced cuisine and inspired artistic expression. Flagship hotels include Grand Mercure Mysuru in India, Grand Mercure Belem Do Para in Brazil and Grand Mercure Rio de Janeiro Riocentro in Brazil. 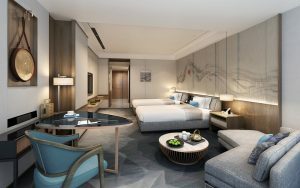 In celebration of Grand Mercure Foshan Country Garden’s opening, a nightly rate starting from RMB 429 net per room is available as an enticing offer to experience the latest addition to Foshan’s hospitality scene. For more information, please visit www.accorhotels.com, email info@grandmercure-foshan-countrygarden.com, contact +86 (0)757 8838 9999 for general enquires.